Few novels play a more prominent role in American girlhood than Little Women. Since it was first published in 1868, millions of girls have cheered on the spunky Jo March as she proved girls could be tough, funny, and as smart as any boy. But Little Women fans have always been puzzled by the novel’s conclusion. Why won’t Jo marry Teddy Laurence—”Laurie”—the charming neighbor who confesses he’s loved her all her life? God knows Louisa got enough letters from fans begging her to let them end up together. Could it be that Louisa knew more of heartbreak than her biographers believe and hoped to spare poor Jo the same? 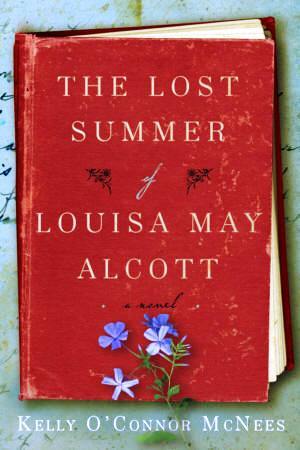 Readers will find an answer in THE LOST SUMMER OF LOUISA MAY ALCOTT, a wonderful debut novel by Kelly O’Connor McNees. In the summer of 1855, poverty forced the Alcott family to move to Walpole, New Hampshire. Here mercurial, clever Louisa meets the winsome but fictional Joseph Singer, who is immediately smitten with her. She can sense a threat to her dreams of becoming a writer and resists his affections. But when Louisa discovers he shares her interest in the controversial Leaves of Grass, just released on the Fourth of July, her longing for a kindred spirit quells her hesitation. Just as Louisa begins to open her heart, she learns that Joseph may not be free to give his away. Their newfound love carries a steep price, and Louisa fears she may pay with the independence she has fought so hard to protect. Historical retellings like The Other Boleyn Girl, Loving Frank, Wintering, and Mr. Emerson’s Wife have demonstrated readers’ abiding interest in imagining the real lives of historical figures.